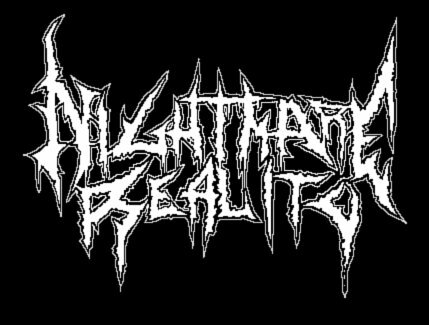 If you want to talk about being a productive heavy metal band on the rise, look no further than Chastain. After consecutively releasing two full-length albums back to back, the band would not stop. 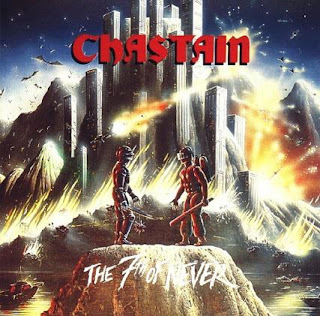 The result of this persistence is the group’s third album “The 7th of Never.” After delivering their best effort yet with “Ruler of the Wasteland,” Chastain needed to hit their next record out of the park. There’s definitely some differences between this album and the predecessor, but the talks of which is better go back to the sophomore, as “The 7th of Never” is just a notch below. The overall sound of the band hasn’t changed much on their third outing, as Leather Leone is still wailing away with her impeccable vocals and David Chastain is still shredding like a maniac. Well, he’s even better than before. David’s lead guitar skills have always been one of the reasons why Chastain is so awesome, but he took his playing to another level for this record. The instrumental “827” is really the only evidence I need that this man is a regular Yngwie with the guitar. Luckily, “The 7th of Never” isn’t just a wankfest for David, as he has plenty of substance (riffs) to go with all of his flashy ability. “Paradise” and “Feel His Magic” have some of the best riffs that have made it to a song on a Chastain record. Also, the chemistry between David and Leone is outstanding on this release, especially on the title track where the riffs and vocals just mesh together perfectly, creating some very memorable moments in the process. One noticeable change that didn’t sit to well with me, though, was the inclusion of pianos and synths. “The Wicked Are Restless” begins with a piano section, which wasn’t so bad in itself, but it added nothing to the music. The synth parts on “Forevermore” also did nothing for the overall product of the music, other than make plenty of metalheads shake their heads in disapproval. Aside from some revamped guitar abilities and a little less of that “epic” feel the band had before, “The 7th of Never” doesn’t gravitate too far from the album that came before, and it left Chastain on a plateau of sorts. This is still an awesome album, though, so any fan of the band’s previous material should have no problem loving this one.